Sam can’t wait for supper. 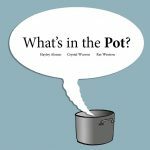 What’s in the pot? Wait and see. Created at Book Dash Grahamstown on 12 November 2016 by Crystal Warren (writer), Hayley Alonzo (illustrator) and Rat Western (designer). Edited by Nabeela Kalla. 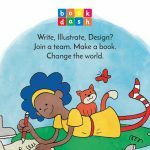 Eastern Cape, you asked and we answered: with Book Dash Grahamstown on Saturday the 12th November! A huge thank you to the National English Literary Museum in Grahamstown for hosting us, and The Solon Foundation for making yet another Book Dash possible!